New Platinum custom ring set with untreated natural sapphire oval cut natural vivid blue sapphire measuring 9.60 x 8.28 x 7.15 mm weighing 5.07 carat. Type II. Medium, moderately strong, blue color GIA B 5/4, set with 12 large round brilliant cut diamonds with a weight 1.20 ct's VS-1 VS-2 clarity G-H color. Please contact us if you would like this ring we offer a full custom design service with a very nice selection of natural sapphires for sale. Stunning no heat untreated bright blue sapphire carrying vivid blue tones along with outstanding saturation gives off this stunning hue. Set with large diamond hale carrying 3.0 mm round brilliant cut diamonds with near perfect color and clarity frames off this oval cut Ceylon sapphire perfectly. This custom platinum sapphire ring will be the focal point when you walk into a room, from both the color of the fine gemstone to the setting makes this a stunning and incredible statement ring setting. 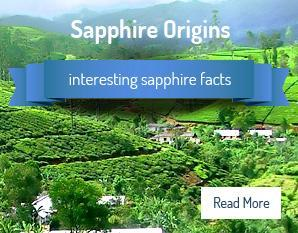 For sale wholesale, we but all of our natural sapphire directly from our own office in Sri Lanka with our full time gem broker there working with us on visiting both the mines & markets allows us to offer this stunning natural sapphires at wholesale prices or less. Stunning 5.07 ct no heat untreated natural oval cut vivid to royal vivid blue Ceylon sapphire set into custom made platinum & diamond ring carrying 12 large round brilliant cut diamonds at a 3 mm each, all diamonds have an excellent cut & polish setting this oval cut sapphire perfectly as a classic halo custom sapphire & diamond ring with a custom platinum custom love gallery. This sapphire carries a wonderful cut, polish along with both rich blue hue coupled with incredible saturation giving this stones its beautiful color making this a stunning custom sapphire ring we have for sale. Please view the independent gemology report and appraisal with this listing as well as the HD video and pictures. We do not use any photo shop software when taking our pictures & video allowing you to see the setting in a honest true setting - unique custom ring setting to Sapphire Ring Co.Please contact us with any question at any time you have.